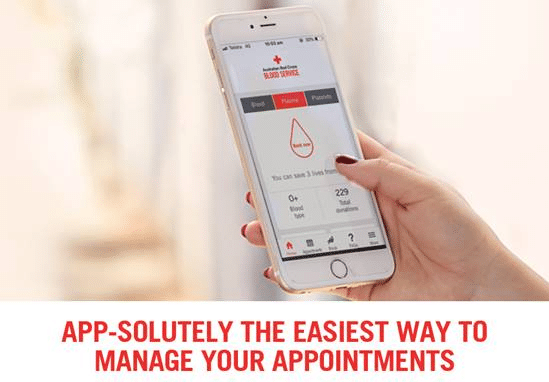 The Australian Red Cross Blood Service has just launched the Donate Blood App to make saving lives even more simple. Free for download for IOS (App Store) and Android (Google Play), just search for ‘donate blood or blood donor’ and look for the Blood Service logo. How does the Donate Blood App help? · Send feedback or ask us a question. Please share this APP-SOLUTELY fantastic news among your colleagues, family and friends, as we strive to make ‘giving life’ through blood donation even easier.